Montessori is a teaching style developed by Dr. Maria Montessori, an Italian physician and teacher. A Montessori teacher will function more as a role model, record keeper, demonstrator, and observer of a child's behavior and growth. Montessori Teachers allow their students to learn by doing. 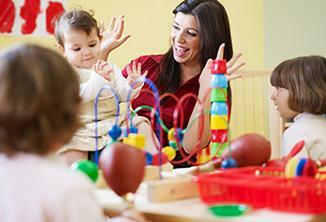 A good candidate for a Montessori Teacher would be one that is an active and curious learner. They must respect a child's unique learning needs, and have an interest and respect for her/his students. WHAT ARE THE REQUIREMENTS FOR BECOMING A MONTESSORI TEACHER? Completing a college education is a good idea for prospective Montessori teachers. Not all Montessori related jobs require a college education. However, a college degree will increase the opportunities for a Montessori Education job. 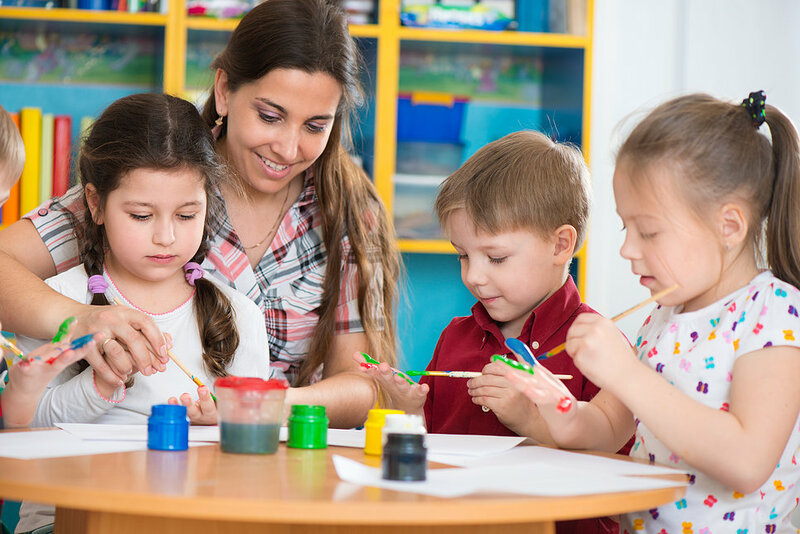 Montessori teachers are typically not required to major in education. The studies one completed can vary widely. 1 Give your children freedom. Unlike traditional classrooms, Montessori classrooms are largely student-led. In other words, students have a great deal of freedom in choosing when and how they complete their assignments (and, in some cases, even which assignments they complete). This principle is fundamental to the Montessori style of teaching. Children who lead their own educational experience learn independence and are more motivated to learn because of the freedoms they're given. For instance, in Montessori classroom, it's not uncommon for the teacher to act as a "guide", rather than an instructor. She guides the children to their hands-on activities (and sits down and helps them if needed), but she allows them to interact freely with their environment. She doesn't force them to sit in rows of desks and complete assignments according to rigid rules. 2 Allow your children to learn by doing. Montessori classrooms are much more hands-on than traditional classrooms. While some Montessori coursework may involve writing, spelling, drawing, and other activities that are done at a desk or table with pencil and paper, Montessori teachers look for opportunities for students to learn by manipulating hands-on objects like blocks, beads, and specially-designed Montessori teaching materials. Montessori educators understand that children (especially young children) don't learn best by sitting and listening to lectures — they learn by teaching themselves and each others as they interact with their environment. For example, while a traditional classroom may teach the concept of addition by rote math drills, Montessori classrooms may use hands-on materials like abacus-style "grids" of sliding beads to teach the same concept. 3 Allow free movement in the classroom. In Montessori classrooms, children are largely free to come and go as they please. While there may be some periods of quiet, organized instruction, most of the time, children are allowed to move throughout the classroom from activity to activity. The classroom is designed to be accessible to the children — for instance, in a Montessori preschool classroom, teaching materials will usually be arranged on low, open shelves and the chairs, tables and work stations will all be appropriately sized for young children. 4 Give children uninterrupted learning opportunities. 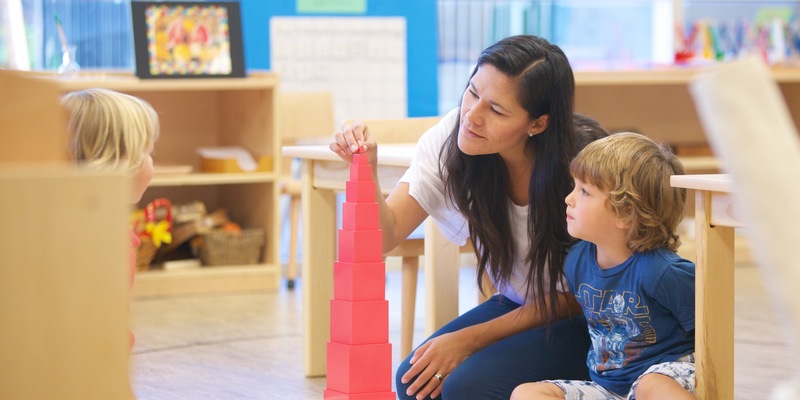 While Montessori teachers are always available to offer their help to children who need them, often, they make an effort to step back and monitor the children as they learn, stepping in only as needed. Montessori teachers give their students opportunities to interact with their educational materials and each other with a minimum of interruption for hours at a time. This approach allows children to learn at their own pace without the interference of a rigidly structured schedule, which, for many children, can present unnecessary barriers to learning. For example, in a Montessori classroom, the teacher may instruct her children that, by the end of the day, they need to complete and turn in three specific educational tasks. During the day, the teacher will walk through the classroom, interacting with the children, monitoring their behavior, and offering help to those who need it, but she won't assign specific time deadlines for them to complete their various tasks. One important hallmark of Montessori education is that classrooms can include children of varying ages. With this approach, the older, more experienced children are encouraged to teach the younger ones, which benefits both students — the young children receive instruction from their peers and the older children demonstrate mastery of the coursework by teaching it themselves. In addition, children taught in a mixed-age environment gradually become more patient and comfortable interacting with others of varying learning ability.